In recent years, plenty of previously popular shows returned to television after previously ending. Some have done well and received praise, like Curb Your Enthusiasm, while others such as Fuller House haven’t been as widely acclaimed. Just this past week, news came out of two previously big shows getting closer to their reboot, Veronica Mars and The Hills. And the streaming availability of Arli$$, has prompted some conversations about it perhaps coming back too. Meanwhile in the near future, plenty of previously rebooted shows will return such as Miami Vice, Magnum P.I., The Twilight Zone, and more. So this got us thinking, what yet-to-be rebooted shows should return? And if the entire show shouldn’t return, what storylines or characters should have their “lives” rebooted? The NBC drama seemed like the next big thing when it first premiered 12 years ago. However after a strong first season, the show stumbled as it worked its way around the Writers Guild of America strike from 2007-2008. The show was temporarily rebooted in 2015 for a 13-episode limited series run, but it was different. Very few of the main characters from the show’s original run returned and surprisingly enough, the visual effects seemed to be worse. What was also surprising about the 13-episode mini-reboot was how badly it was received amid the hype of superhero movies. That being said, because of the success of more recent superhero movies such as Black Pather and Wonder Woman, I am curious if a rebooted Heroes may work. The issue would be bringing back any of the major characters for another run. For one, Milo Ventimiglia (Peter Petrelli) is now the star of a different NBC drama, This Is Us. This is one example where maybe the show itself shouldn’t come back with the same characters, but instead the same style show with an updated storyline written by the same writers. When House of Cards releases its final season in November, there won’t really be any major fictional political TV shows left. Sure, fans of political dramas can still watch Designated Survivor (now coming to Netflix after its cancellation by ABC), but that’s more of a political thriller instead of a political drama that focuses on the day-to-day lives of everyone from the President’s speechwriter to the Assistant Deputy Secretary of State. If The West Wing, or rather a modified version of it, were to return, it would fill the void being left by House of Cards. 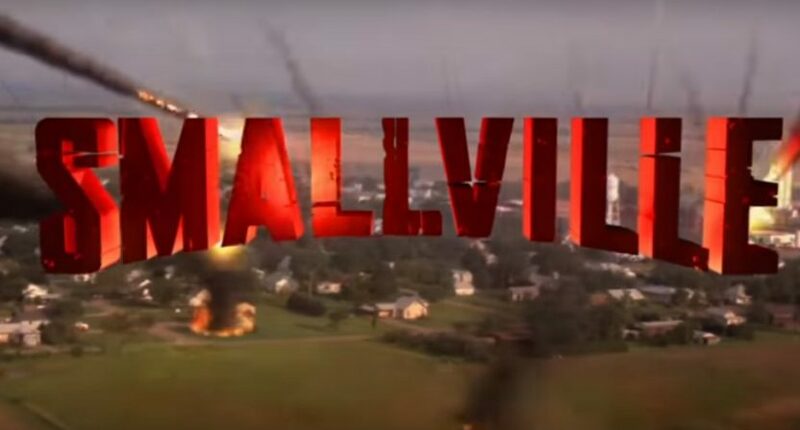 Much like with Heroes, the return of another superhero-centric TV show could do well, and that brings us to Smallville. Another reason why Smallville should return is the current lack of a solid Superman movie franchise. Most people might not have expected when Iron Man first came out in 2008 how much people would love superhero movies. Then again, fans of Smallville may have, because at that point the series had been on for seven years. What also made Smallville great was its decision to include multiple superheroes in its show. Since DC seems incapable of making a good group of superhero movies, maybe it should take a hint from Smallville and Supergirl and start making more TV shows based on its characters (except for Wonder Woman, please keep making more of those movies). In recent years, Netflix has revived the 2001 cult classic Wet Hot American Summer for two eight-episode mini series. Despite the fact that most of the cast looks nothing like they did in 2001, they all still played campers and counselors at the fictional summer camp in 1981. Someone should convince the actors and actresses in Freaks and Geeks to do the same thing. The cast of the hit one-season show was amazing: Seth Rogen, Linda Cardellini, Jason Segel, James Franco, Martin Starr, and others. If they could all be convinced to “go back to high school” and play teenagers again, the end result could be amazing. And if Paul Feig (Bridesmaids, The Heat) and Judd Apatow (Knocked Up, The 40-Year-Old Virgin) returned to write the show again, it’d be an even bigger hit. Okay, bear with me here. I don’t think the entire show should return. I loved the ending that David Simon and company wrote out for the likes of Jimmy McNulty, Bunk Moreland, Detective Greggs, and others. However, I really want to know what happened to the kids from season four. I’m talking about Michael Lee (Tristan Wilds), Randy Wagstaff (Maestro Harrell), Dukie Weems (Jermaine Crawford), and Namond Brice (Julito McCullum). While season four ended with viewers knowing the likely fates for all four, I would love to see a 10 years down the road reboot. It can even be a one-hour special, I don’t care. What might make this even better is if the lives the actors are currently living are the lives their characters live in the special. For example Maestro Harrell is currently a DJ and singer who goes by the name ‘Maestro,’ so have him play a grown up Randy Wagstaff who became a successful DJ. We don’t need to live through McNulty and Bunk solving a murder or being thwarted by the bureaucracy. Just show us the current lives of the corner boys and maybe scenes of their kids working through the fight between choosing between dealing and education.